← It’s Pizza this week at the Carnarvon Yacht Club! They’re BACK! 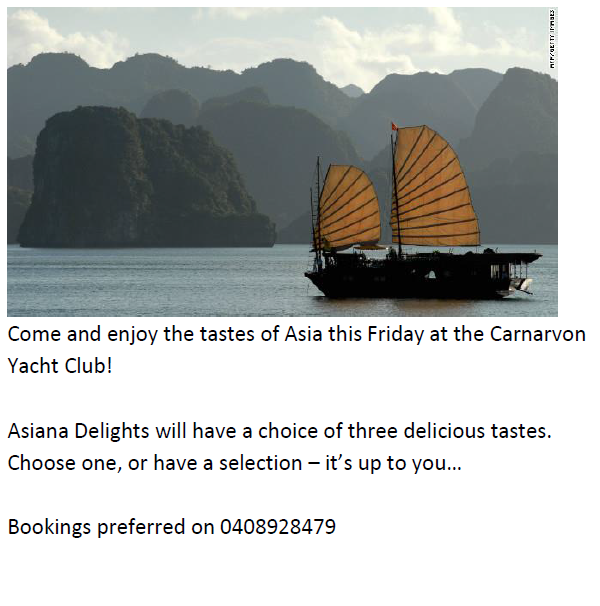 Asiana Delights at Carnarvon Yacht Club this Friday!